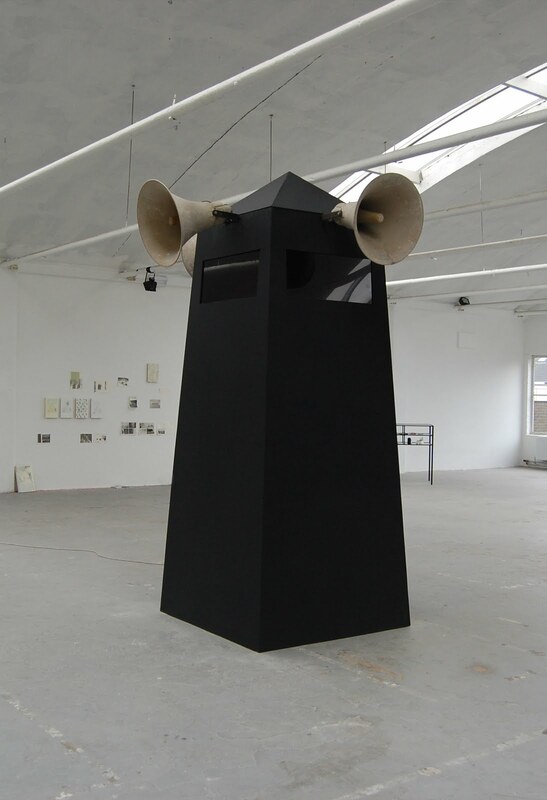 Installation / performance, 120 x 120 x 300 cm, wood, tinted glass, horn speakers. De Fabriek Eindhoven (2010). Collaboration with artist and writer Sanne Brink, wich was acting as the omniscient narrator and the visitors of the exhibition confronted with imaginary facts about their personal.